John S. Marmaduke sought to strike Brig. 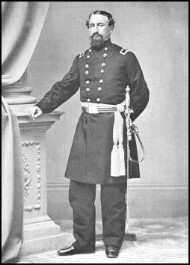 Gen. John McNeil, with his combined force of about 2,000 men, at Bloomfield, Missouri. McNeil retreated and Marmaduke followed. Marmaduke received notification, on April 25, that McNeil was near Cape Girardeau. He sent troops to destroy or capture McNeil’s force, but then he learned that the Federals had placed themselves in the fortifications. Marmaduke ordered one of his brigades to make a demonstration to ascertain the Federals’ strength. 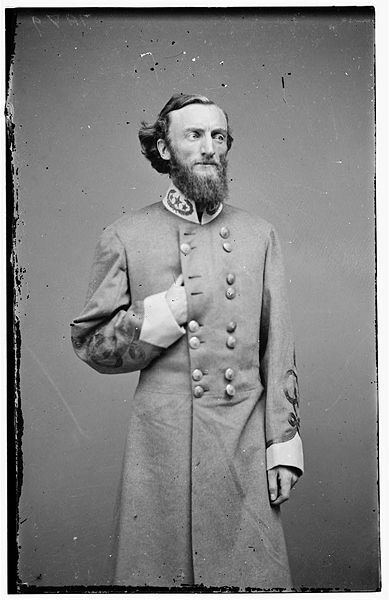 Col. John S. Shelby’s brigade made the demonstration which escalated into an attack. Those Union forces not already in fortifications retreated into them. Realizing the Federals’ strength, Marmaduke withdrew his division to Jackson. After finding the force he had been chasing, Marmaduke was repulsed. Meant to relieve pressure on other Confederate troops and to disrupt Union operations, Marmaduke’s expedition did little to fulfill either objective. The Battle of Cape Girardeau was a military demonstration of the American Civil War, occurring on April 26, 1863 in Cape Girardeau, Missouri. The conflict was part of the pursuit of US Brigadier General John McNeil through Southeast Missouri by Confederate Brigadier General John S. Marmaduke. Though the conflict to this day is known as a battle, it was a relatively small engagement that is best termed a skirmish or demonstration. Its primary importance is as the turning point that brought General Marmaduke's second Missouri raid to an end.